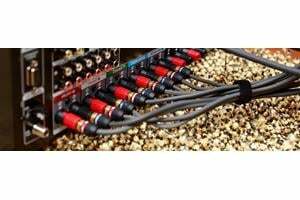 Which type of mount is right for your installation? One of the things that makes flat-panel TVs so appealing is their shallow depth and light weight, which allow them to be mounted on a wall. This gives you a very clean, safe, and space-efficient installation. 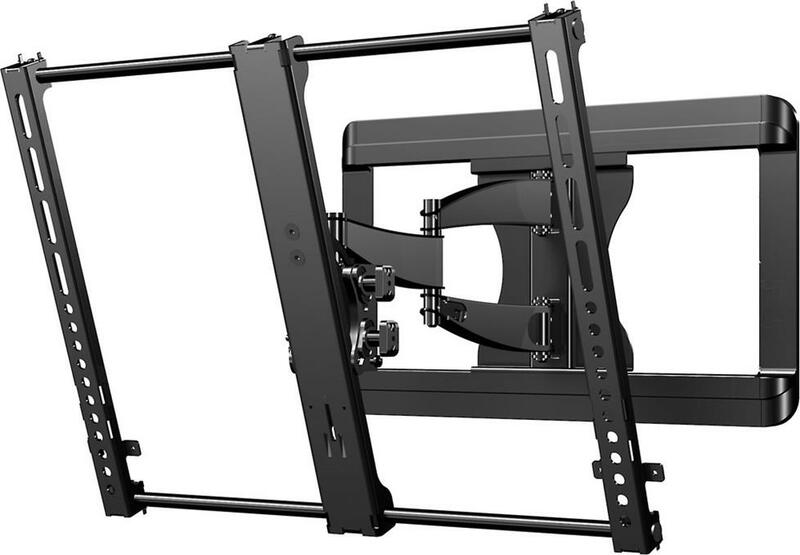 TV wall-mounts range from basic fixed-mount designs to those with nearly unlimited flexibility for positioning your TV. Think about what you want your bracket to be able to do. 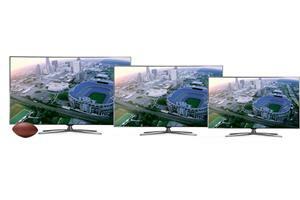 Do you want to be able to adjust the TV to get a better view from different seats? Would you like to be able to angle the TV for optimum viewing, yet also have it hug the wall when not in use? This is the simplest, lowest-cost type of mount. 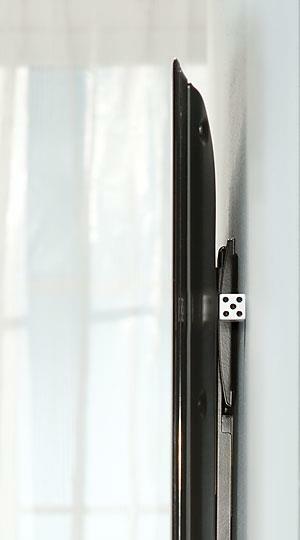 It places the TV closer to the wall than other mount types. 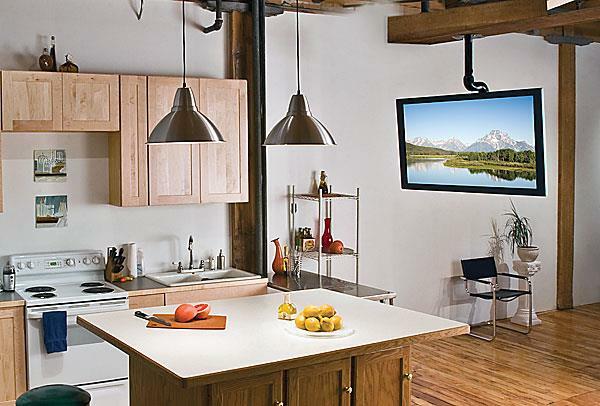 A flat wall mount has no angle adjustments — the TV screen's position is parallel to the wall. This type of mount is a good choice if you'll be sitting directly in front of the TV, and can position the TV at the ideal height, with the center of the screen at about eye-level when you're seated. 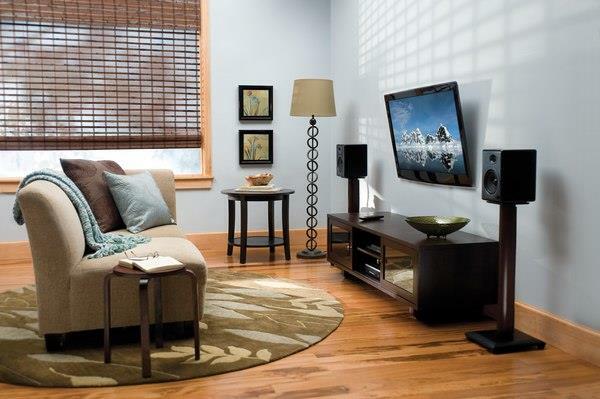 The popular Sanus LL11-B1 holds the TV about 9/16" from the wall. By providing vertical angle adjustment, this wall mount type makes it easy to compensate for a TV positioned above the optimum viewing level. 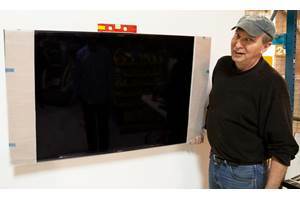 The tilt mechanism causes the TV to be spaced a bit further out from the wall — typically at least 2". Tilt mounts are a smart choice for TVs placed above a fireplace or high on a bedroom wall. The angle adjustment can also help reduce screen reflections from windows or room lights. The ability to adjust the angle of your TV screen can not only reduce glare, it also lets you tilt the TV up for easy cable connections. By adding side-to-side swivel adjustment, this wall mount is a smart solution when a TV needs to be angled to provide the best viewing. It's also great for rooms with more than one usual viewing spot. Full-motion mounts combine up/down tilt with side-to-side swivel, for maximum positioning versatility. Mounting a TV above a fireplace is a popular option, but over time, watching it can literally be a pain in the neck. 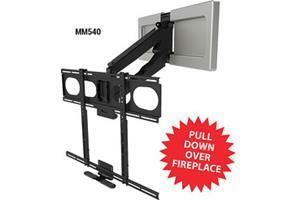 A MantelMount lets you easily pull your TV out and down over the mantel when you want to watch. In some situations (say you're dealing with a brick wall), a wall mount just won't work, but a ceiling mount will. 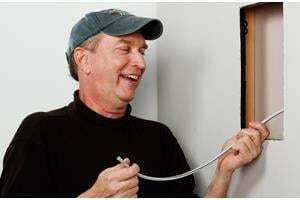 If you're wondering what it takes to install a TV, check out our how-to guide and video on TV wall-mounting.